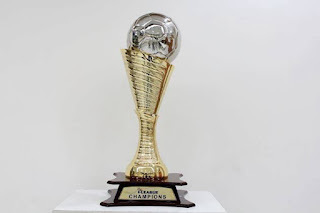 The defending champions against arguably the most historical club of Indian Football, the stage is all set for the grand finale of Hero i-League 2015 - JSW Bengaluru FC against McDowell Mohun Bagan at the Kanteerava Stadium on Sunday, 31st May 2015. With only one match remaining in the Hero i-League 2015 and the title to play for, it is all set to be a cracker of a game between two top teams who have shown tremendous consistency to come thus far. As it stands a win for either of the teams will ensure the title while a draw will be sufficient for Sanjay Sen's men to grab the title. From the buildup and the approach of the two coaches, its almost certain that the game will not be a draw, at least not a goalless one. 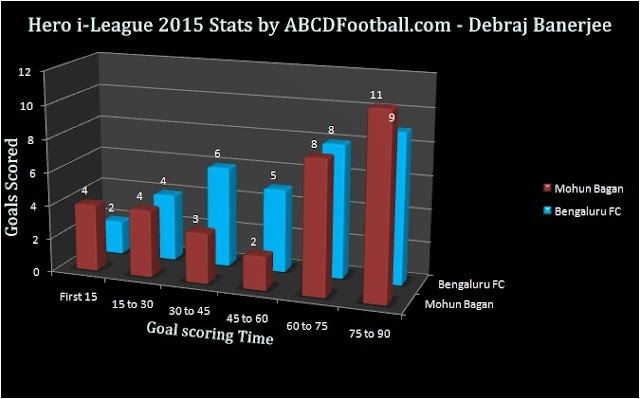 Bengaluru FC(scored 34 goals) and Mohun Bagan(scored 32 goals) form the top two most attacking teams in the league. 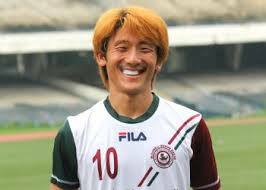 For Mohun Bagan, Haitian hitman Sony Norde leads the chart with 9 goals to his name closely followed by another star of the season, Japanese sensation, Katsumi Yusa. It will be quite interesting to see the attacking threat of Sony Norde and Balwant Singh going against the likes of two rock solid English defenders - John Johnson and Curtis Osano who have thus far conceded just 18 goals in 21 games. Both Johnson and Osano, are capable of nullifying any aerial threat. Mohun Bagan boasts a very solid attack line which includes the likes of Sony Norde, Balwant, Pierre Boya and Jeje Lalpekhlua. 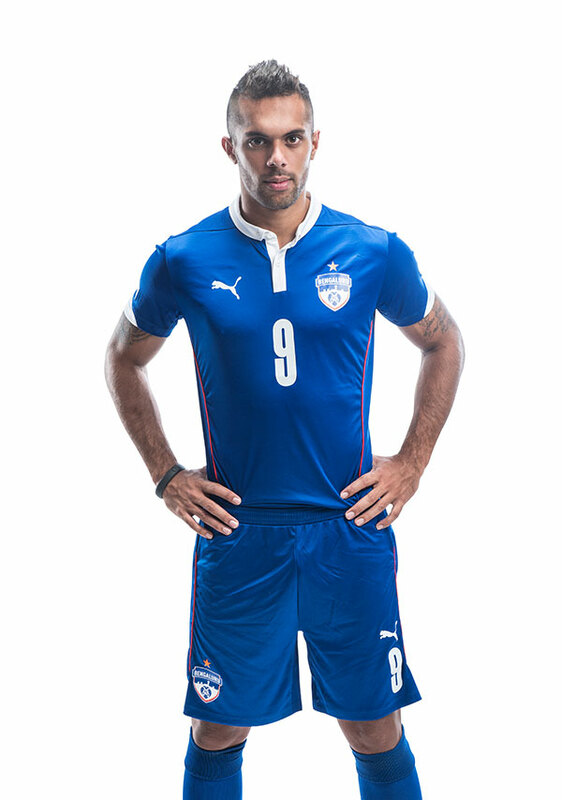 Bengaluru FC on the other hand have two Indians at the top of their goal scoring list with forward Robin Singh and midfielder Eugeneson Lyngdoh netting 6 goals each closely followed by Thoi Singh and Sean Rooney. Not only that but one must not forget that they have the best Indian striker in their ranks in the form of Sunil Chhetri. Bengaluru FC's potent attack will have to face the meanest defense of Mohun Bagan who have only conceded 15 goals keeping 2 clean sheets away from home. The likes of Pritam Kotal, Bello Razaq, Dhanachandra Singh, Anwar Ali and Sukhen Dey have been very disciplined thus far and Sanjay Sen will hope that they can keep out the tricky Bengaluru FC attack line. Looking at the goalkeepers L.Ralte for Bengaluru FC and Shilton and Debjit for Mohun Bagan has been very safe on the goal and came to the team's rescue whenever needed. Set piece experts, Yusa Katsumi(Mohun Bagan) and Eugeneson Lyngdoh(Bengaluru FC) will be our top picks for their respective teams in the midfield department as both of them create lot of chances and provide the supply for the front line. 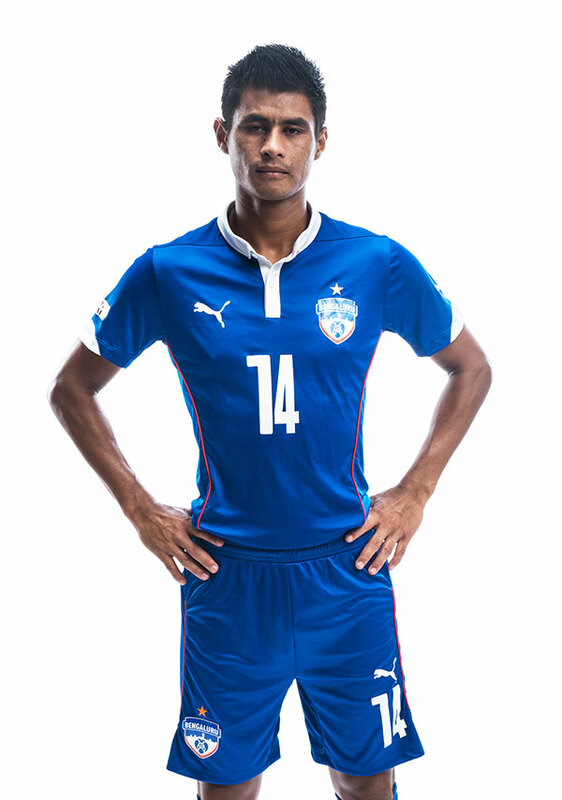 Former Rangdajied United captain Eugeneson Lyngdoh have been the most productive player for Bengaluru FC with 9 assists thus far while scoring 6 goals. Katsumi Yusa on the other hand have scored 7 goals and created 2 goals. Katsumi's quick change of pace and turns are bound to cause problems for Bengaluru FC while Eugeneson Lyngdoh's ability to find great positions needs to be checked by Mohun Bagan. 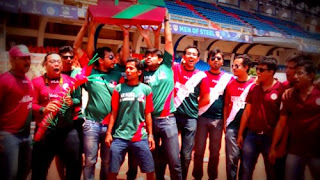 Bengaluru FC are undefeated in the last 12 matches, but ironically their last defeat came at the hands of Mohun Bagan. Since then there has been no looking back. Mohun Bagan on the other hand have dropped few points on the run but have recovered in time with two crucial victories in the last two league games. The goal scoring pattern of both Mohun Bagan and Bengaluru FC show that the two teams are equally dangerous in the final half of the match. Mohun Bagan have scored 19 out of their 32 goals, i.e. 60% of their goals in the final half an hour. Bengaluru FC on the other hand have scored 17 out of their 34 goals, thus boasting 50% of their goals in the final half hour. The atmosphere inside the stadium most of the times decide the outcome, and a game of such stature and magnitude the crowd will play a key role. A full house is expected at the Kanteerava stadium and both sets of fan will leave no stones unturned. 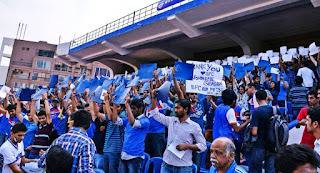 Ashley Westwood's Bengaluru FC have the home advantage on paper at "The Fortress" as they have only lost a single game at the Kanteerava Stadium. Already having a strong fan base and a title decider of the i-League which will make them do the double in two consecutive years, surely would bring in a massive home support. While its a home game for the Blues, the Green and Maroon supporters have flooded the city in numbers to ensure that their players don't feel away from home. Already the city have a high volume of Bengali contingent and with people flying in from various states, it will be a treat to watch the Mariners supporters going head to head against the Blues fan-base in a bid to be the stronger 12th man. In these kind of matches some times the tactics and strategies finish second best to the capability of handling the pressure. The team which can keep its cool, and keep the basics right might very well clinch the title.